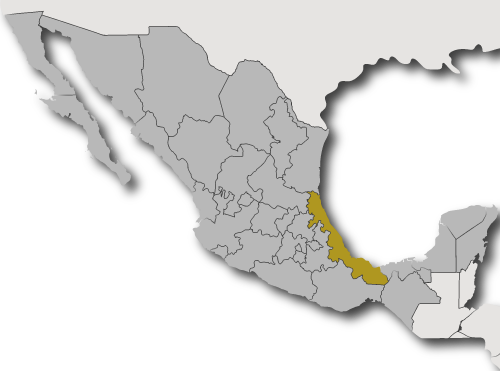 Veracruz is a coastal, southeastern state on the Gulf of Mexico. It was the first state discovered and conquered by the Spaniards back in the 1500’s. Its history is as rich, complex and intense as the land itself, along with the coffee beans grown in this region. Veracruz holds an important place in Mexican history, as it was one of the first ports in Latin America and gateway to international trade. Christopher Columbus arrived at this port back in 1519 and also opened the door to the Spaniard’s conquest of Mexico during the Conquista de Mexico. Veracruz harbor is where Christopher Columbus famously burned his three ships to signify his intent to stay. There are still pieces of his house in a small town called La Antigua not far from the Port of Veracruz. Apart from the heritage this magnificent beautiful state provides a feast for your eyes and senses. The beautiful ocean landscapes are complemented by the vast, nearby mountains and jungles. Coffee plants (cafeto shrubs) were first brought to Veracruz back in the 1800’s on Spanish ships from Cuba. 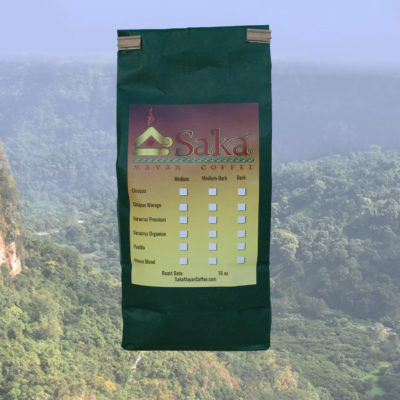 The tropical weather, elevation, and surrounding vegetation of this region provides the ideal growing environment and essentials needed for these plants and beans to flourish. The coffee beans from the State of Veracruz are, now famous for their outstanding body, aroma, and flavor. Veracruz is now the second largest coffee producing state in Mexico, with ten main production regions that have the optimal ecologic conditions required for the cafeto plant to thrive, including average temperatures ranging from 65 degrees to 72 degrees Fahrenheit year-round with low risk of freezing, altitudes of 328 feet to 3940 feet (yes, outstanding coffee beans can be grown at altitudes of well below 1000 feet) above sea level, and precipitation ranging between 4593 and 75745 inches per year. All of these environmental conditions enable the cafeto plants of Veracruz to provide the unique and superior coffee beans from this region. Our Veracruz beans come from the Coatepec region. Although only a small city, Coatepec has been nicknamed “The Capital of Coffee” in Mexico because of its reputation for harvesting one of the most exceptional coffee beans produced throughout all of Mexico. We have brought these beans to the U.S. prior to roasting so that we can roast them fresh locally and deliver the very richest aroma, body and flavor to those with discerning tastes who treasure the finest coffees from around the world. The connoisseurs will not be disappointed. An exquisite selection of the best coffee beans from Veracruz, is waiting for you to taste them.